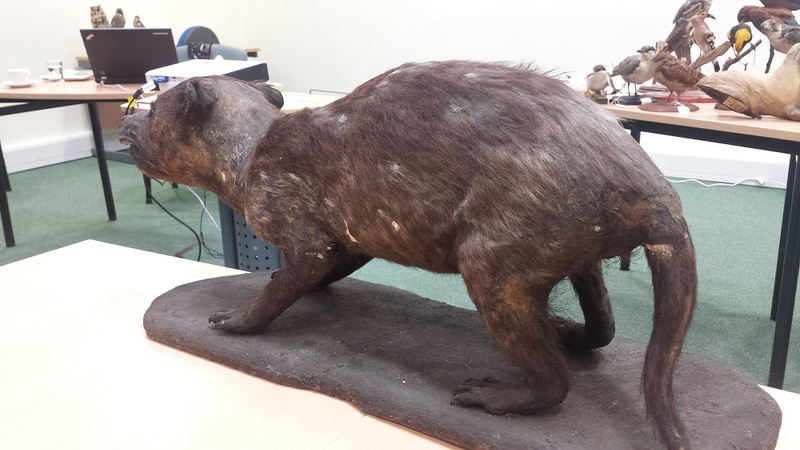 Taxidermy, the art and science of preserving an animal by placing the skin around an artificial body, has always been an important part of natural history collections. 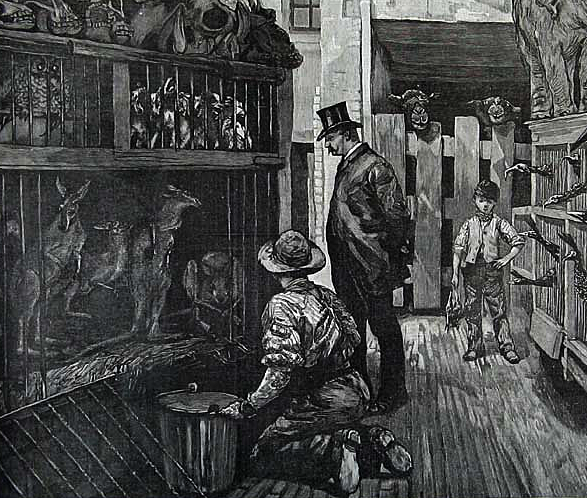 During the Victorian era, explorers would bring large and exotic animals back from their long voyages: the mounted skins would be displayed, enthralling the Victorian public, who had never seen creatures such as gorillas and giraffes before. While we thankfully no longer hunt and kill animals for display in museums, taxidermy is still as important as ever for teaching about the natural world – probably more so now as more and more species are threatened with extinction. While there has been a resurgence in the popularity of taxidermy, it is still the case that the number of experts capable of producing and preserving taxidermy is dwindling (in the UK, at least). With this in mind NatSCA, in association with Lancashire Conservation Studios, ran a day of talks and hands-on sessions, entitled ‘Understanding Museum Taxidermy: Construction, Care and Commissioning’, on the 1st April. The day was led by Lucie Graham, Natural History Conservator at Lancashire Museums. 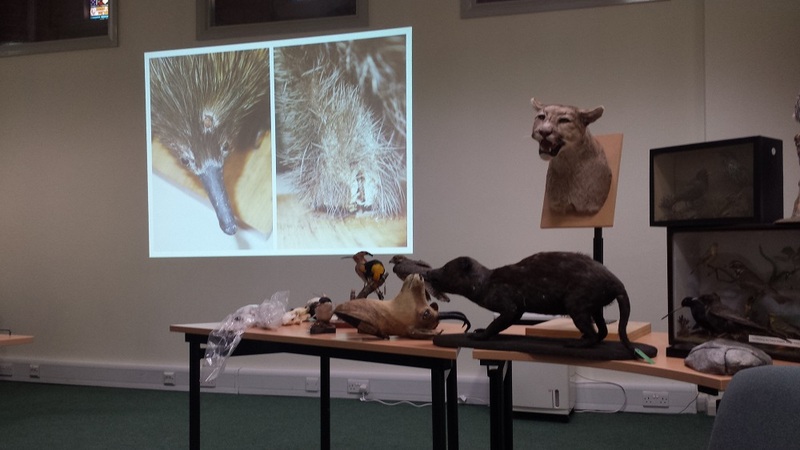 Lucie began by demonstrating how taxidermy can be prepared using a wide variety of different methods, with internal moulds being formed from wood wool, balsam carvings, plaster and more. Taxidermy is an art, and each artist has their own methods. Lucie then went on to discuss how taxidermy can fall into disrepair if not properly cared for or prepared in the first place. We were able to get a close look an assortment of suffering taxidermy from Lancashire Museums, and discuss how we might treat each one to allow it to be better used and conserved. We had an adorable fox cub on our table, which had suffered from some fading, surface dirt and some loose digits on one paw. A bit of a clean and some adhesive to fix the paws, and this little cub could be looking much better! Next we went through to the conservation lab for some cleaning demonstrations, where many of us were amazed to find out that simple cosmetic sponges get thick dirt off taxidermy effortlessly! We were also shown how to preen and straighten the feathers of a taxidermy bird, using steam to ease the process. Finally were talks from a couple of the country’s leading taxidermists. James Dickinson discussed how museums can go about commissioning taxidermy. The Guild of Taxidermists can offer lists of accredited practitioners, ensuring that museums are able to make informed decisions and seek the services of the best person for the job. Jack Fishwick, judge at international taxidermy competitions, showed us a sample of his vast collection of bird photographs, which he uses for inspiration and feel for a bird’s shape and movement in life – vital for producing realistic taxidermy. 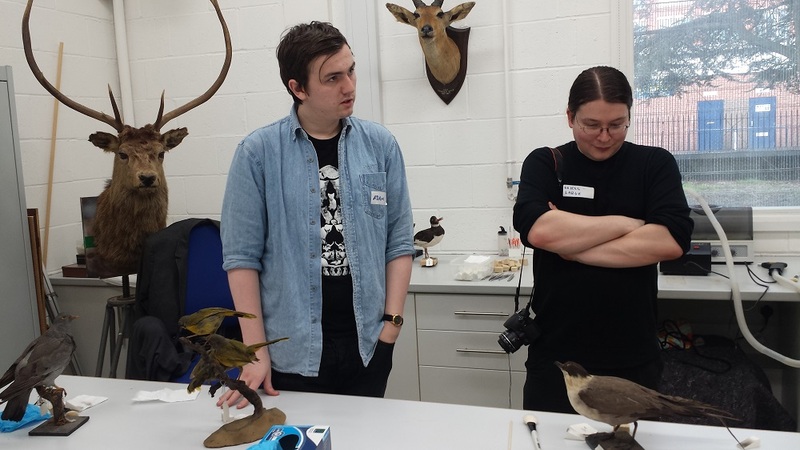 The day finished with passionate discussion about the shrinking pool of skilled taxidermists – Jack and James warn that we may have no dedicated taxidermists left within the next two decades, which could be a disaster for museums wishing to expand and preserve their collections.